In the Palazzo degli Istituti Anatomici of the University of Turin (which also houses the anatomical museum), you will find a collection that is truly surprising in its visual conflation of the synthetic and the real. At the heart of the Museo della Frutta Francesco Garnier Valletti is a display of some 1,100 pieces of artificial fruit, most of them modelled in the 19th century by the man who gives the museum its name. The ‘pomological collection’ is housed in two galleries. 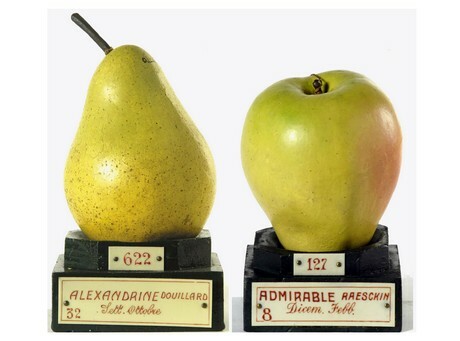 They are packed with hundreds of varieties of fabricated apples, pears, and other assorted fruit, reproduced to actual size, their surfaces rendered with remarkable verisimilitude – blemishes and all.